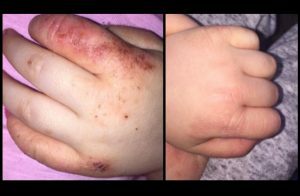 A girl in the UK was suffering from eczema and the mother bought her a moisturiser which completely ‘cured’ her daughter’s skin problems. Is this finally the end to eczema sufferers? The cream that the mother claimed to be a ‘miracle’ cost £3.99, the equivalent of SGD$6.29. Initially, doctors prescribed all sorts of creams and medicines to for her daughter but nothing seems to work. Her baby girl was suffering from painful wounds all around her body. 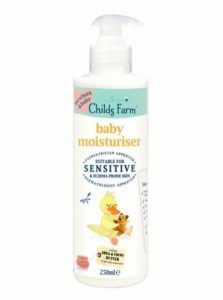 Finally, she noticed a Childs Farm Baby Moisturiser while shopping and decided to try it. Within a few days, the skin began clearing up.